In 2014, Mr. Goldman joined Curran Moher Weis, P.C. after years of practicing family law on Long Island and in New York City. Now focusing his practice in Northern Virginia and the District of Columbia, Mr. Goldman is helping his clients navigate the difficult landscape of divorce by utilizing the same skillset and experience developed working for a prestigious matrimonial boutique in Garden City, New York. He has also added to that skillset along the way, becoming certified and actively participating in collaborative law and by serving as a mediator for family law matters. Through zealous advocacy, a well-balanced approach to negotiations, and a strong financial background, Mr. Goldman has had success litigating and settling highly contested divorces, custody matters, support matters, and other areas of family law practice. His success has earned him a positive reputation from his colleagues and peers in the matrimonial bar and, at the age of 30, he was recognized as one of the Ten Leaders of Matrimonial & Divorce Law in Long Island, New York under the age of 45. Mr. Goldman has since been recognized as one of the Ten Leaders of Matrimonial & Divorce Law in Northern Virginia under the age of 45. He also receives AV Preeminent® ratings from Martindale-Hubbell® Law Directory, with “High Ethical Standing”, a testament to his reputation among his peers. Collaborative law and Mediation have become vital tools for Mr. Goldman as more and more clients have been drawn to methods of practice that keep families out of Court (generally referred to as Alternative Dispute Resolution). As he puts it, most clients don’t define “success” by winning at trial, but rather by accomplishing the following objectives: 1) making the process quicker and more efficient; 2) gaining control over their case instead of leaving it in the hands of a Judge; and 3) lessening the hostility between the parties so that the family can continue to manage its affairs in an amicable fashion. If practiced effectively, it can also have the added benefit of saving families tens of thousands of dollars that would otherwise be spent in litigation. Outside of the office, Mr. Goldman gives back to his community by mentoring local children and young attorneys, donating his time to local causes in the City of Alexandria, and he serves as a board member of the Younger Lawyers Section of the Fairfax County Bar Association. He also spends his time playing flag football, practicing mixed martial arts, and playing golf. 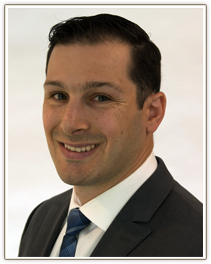 Mr. Goldman received his undergraduate degree from Binghamton University, concentrating his studies in business management, before going on to receive his Juris Doctor from Albany Law School in New York. He is currently licensed to practice law in the State of Virginia, the District of Columbia, the State of Maryland, and the State of New York.